Williamsburg Art neXus Phase II - What's in Store? WAXworks, a strand of the Williamsburg Art neXus, will host a showcase for emerging choreographers at Triskelion Arts this Sunday, March 24th. WAX currently does not have a permanent home, but the show must go on! Denizens of Brooklyn, new and old, are familiar with the words "luxury condos" and what inevitable changes those two words will bring to their respective neighborhoods. WAX is no stranger to this. In 1999, co-founders Marisa Beatty, Brian Brooks, Melissa Rodnon and David Tirosh renovated a one story warehouse in the heart of Williamsburg at 205 North 7th Street - turning the space into a "professional white-box theater." 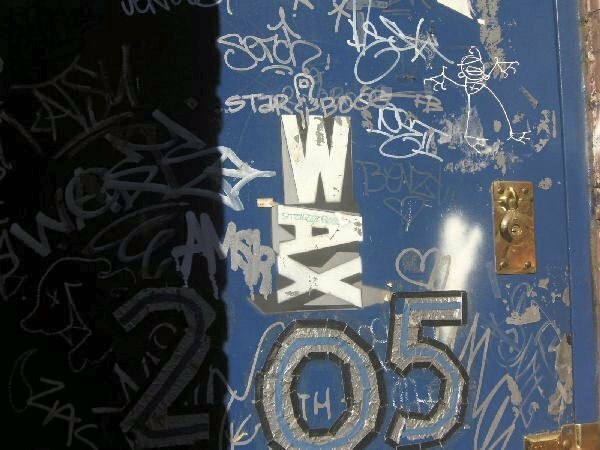 From September 2000 to October 2004, WAX served as a hub for artists in a not-yet-famous 'hood where rent was cheap and the streets were mean(er). Offering affordable rehearsal space, a visual arts gallery and a fully equipped theater that could host productions for ANY type of artist, WAX opened its doors to nearly 500 creative minds. In 2004, the building was sold to developers and WAX was stranded with ideas and equipment and nowhere to go. But instead of closing for good, WAX embarked on what they're calling "Phase II" and created WAXworks, a series of performance showcases offering new and veteran artists an opportunity to perform on a professional stage. With the help of Triskelion Arts, WAXworks is producing these showcases once a month, from February until June, and can continue with its founding mission. For a nominal fee, choreographers can present work up to 12-minutes long and receive a half hour tech slot, objective feedback from audience members, and a video of the performance. WAXworks also offers advice on artist statements, press kits and more - part of their "learn-by-doing" method of preparing. Ashley Mathus: How did you hear about WAXworks? Amy Campbell: From rehearsing at Triskelion. I was renting space and saw it on their bulletin board. I just decided I needed to set a date to make work and follow through. AM: What was the submission process like? AC: They wanted to know about who you are as a dancer/artist. There was an application form to talk about your work and describe what you would like to show and a small fee. I just gave them all I had and hoped for the best. AM: Where did the moniker "Crooked Mouth" spawn from? AC: My last name. Campbell is Scottish and apparently means "crooked mouth," which apparently also means "liar." I like it because I feel there are so many ideas and different types of movement I want to present as I work on building a body of work. Having a name like "Crooked Mouth" makes me feel free to do that. Like, "Oh you thought I was going to be this type of artist and make this kind of dance, sorry I lied, I'm switching it up again." The idea of "lying" in terms of audience and performance is also interesting. Is what the audience sees actually who and what we are at that time? What part of it are we acting? What part of it is personal? I like playing around with it all. AM: What are you hoping to showcase with your choreography for the March 24th showing? AC: All the things! It's hard because I want to cram all these ideas I've been having over the past few years into the first big thing I'm actually presenting, so I've been trying to sift and filter it down to a few things. It's based on a school dance, which is a pretty basic concept, but also for me, brings to mind a whole slew of emotions: love, fear, regret, desire, insecurity. It's also kind of funny. Going to a dance as a kid was a pretty big deal, but in the "big picture" it's just another day in your life. Looking back, the fondest memory I have of prom or whatever is how awesome my dress was. The mambo scene in "West Side Story" is another inspiration. I'm trying to let the dance idea be the filter for the rollercoaster of emotions I've had - and will still go through - while trying to make it sassy and funny. The dancing is athletic and big, but I also want it to be a little raw with some personality shining through. I'm working with a bunch of amazing dancers who have diverse training and work in nightlife. AM: Do you think WAXworks is an important platform for emerging Brooklyn choreographers? Why or why not? AC: I think so. They're gracious enough let me to emerge! Just having the opportunity to make and present work is important, and also the opportunity to meet and see some other rad dancers and choreographers too. Being affiliated with a space like Triskelion is also helpful, it's a great space. WAXworks will host showcases on March 24, April 28, May 19 and June 23 all at 7:00pm at Triskelion Arts. Submissions deadlines have closed. Tickets are $10. Call 718-599-7997 for reservations.